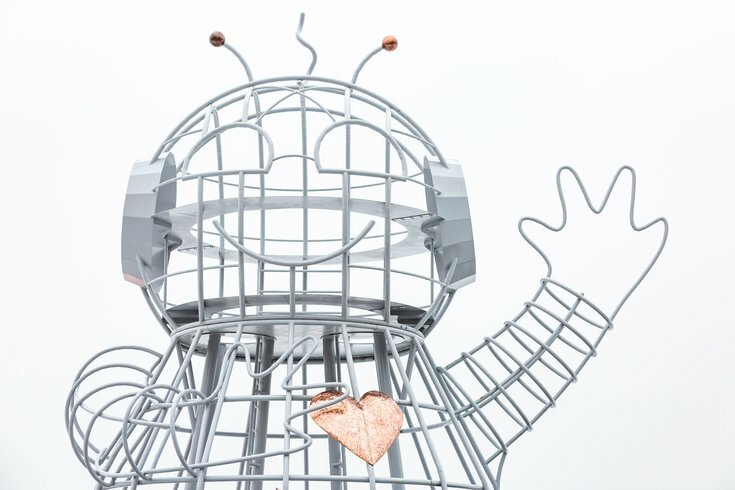 Bebot is "an endearing comic book robot built on a large scale but undeniably cute" said installation artist, Andrea Greenlees. 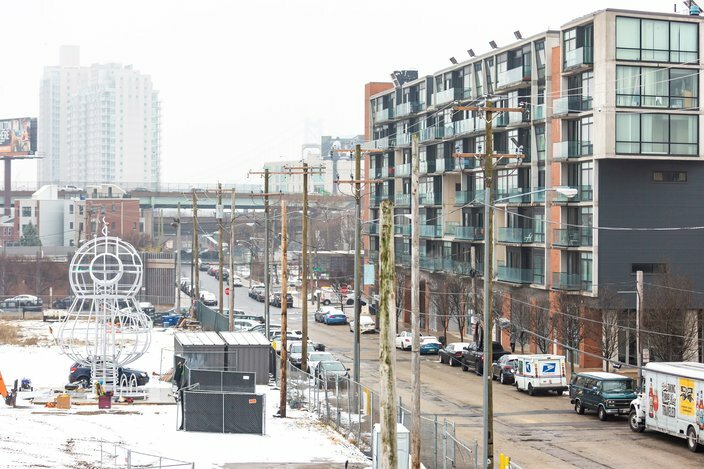 Philadelphia meet Bebot, a 33-foot-tall, 13,000-pound robot sculpture that's taking up residence in Northern Liberties along Germantown Ave. and is the latest public art installation in a city famous for the Love statute. 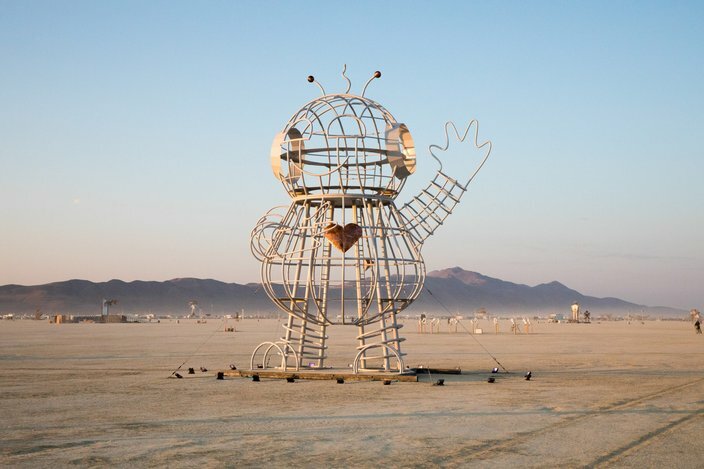 Designed by Josh Haywood of the Hylemo creative agency and fabricated in Reno, Nevada by Andy Tibbetts of Lost Machine Design LLC, Bebot was an interactive installation at the recent Burning Man event in the Black Rock Desert. Afterwards, Bebot was in storage for a few months before making the journey across the U.S. in three large tractor-trailer trucks. “The mere fact that he’s waving and greeting shows it’s an endearing piece, reaching out to you. I hope people take it to their hearts," said Greenlees "I would love for it to become a destination in the city of Philadelphia. The sweetness of Bebot tugs at the heartstrings and people can’t help but feel friendly and warmly towards it. However the ‘Sting in the Tail,’ Bebot’s little devil tail, is intended to give us pause for thought." There is a small crew on site this week in Philadelphia to bring Bebot to life. This installation is one aspect of a larger, unannounced project that is in the works. Stay tunes for more details in the following weeks. 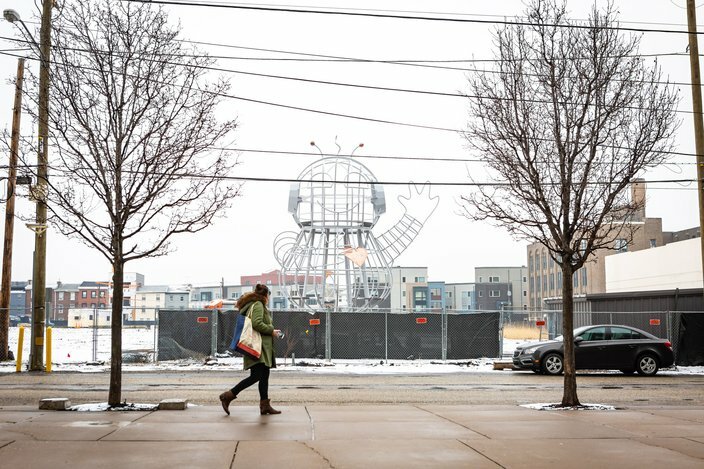 Located along Germantown Ave. near the Schmidt's Commons, Bebot is starting to attract the attention of people passing. Bebot on location at Burning Man in Nevada's Black Rock Desert, Sept. 2018. 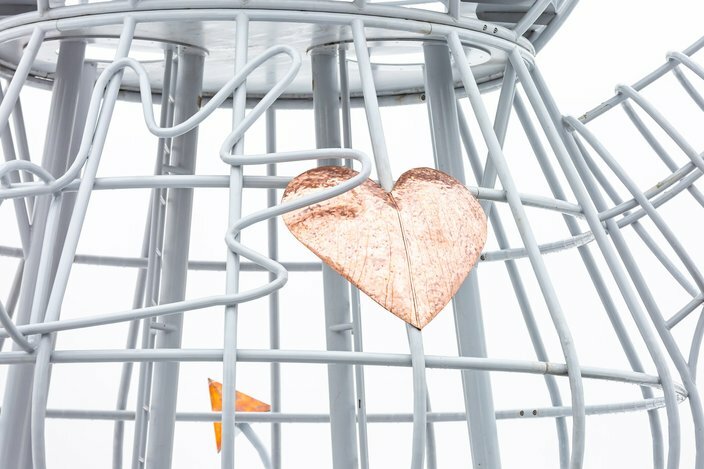 While one arm is extended out as a welcoming gesture, the other reaches across it's chest toward the hand-pounded copper heart. Bebot looks out along Germantown Ave. in Northern Liberties. 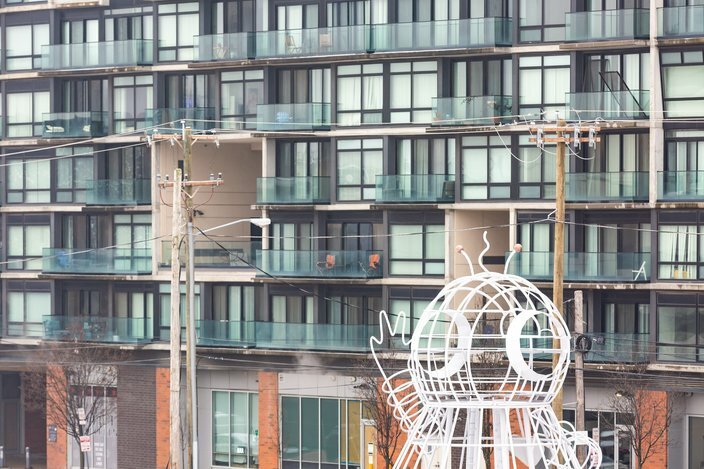 Bebot waving, greeting people from its post along Germantown Ave.